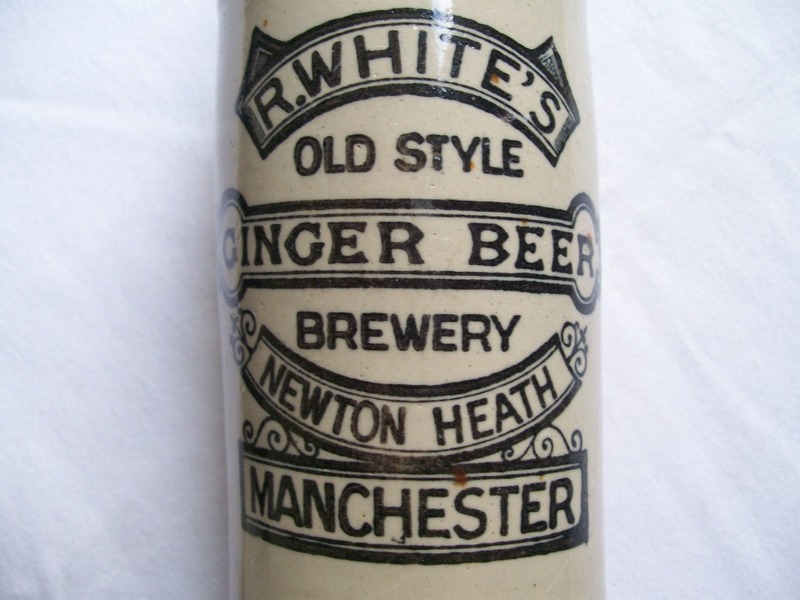 Front of the R.White’s salt-glazed stoneware ginger beer bottle produced in Newton Heath. Courtesy K. Shaw. This is a R.White’s ginger beer bottle, produced by soft drinks manufacturer R.White’s at their Newton Heath brewery, around 1910. Bourne Denby mark. Courtesy K. Shaw. The bottle is a salt-glazed stoneware bottle manufactured and made famous by Denby Pottery and measuring approximately 171mm in height with a characteristic blob top with internal screw thread. 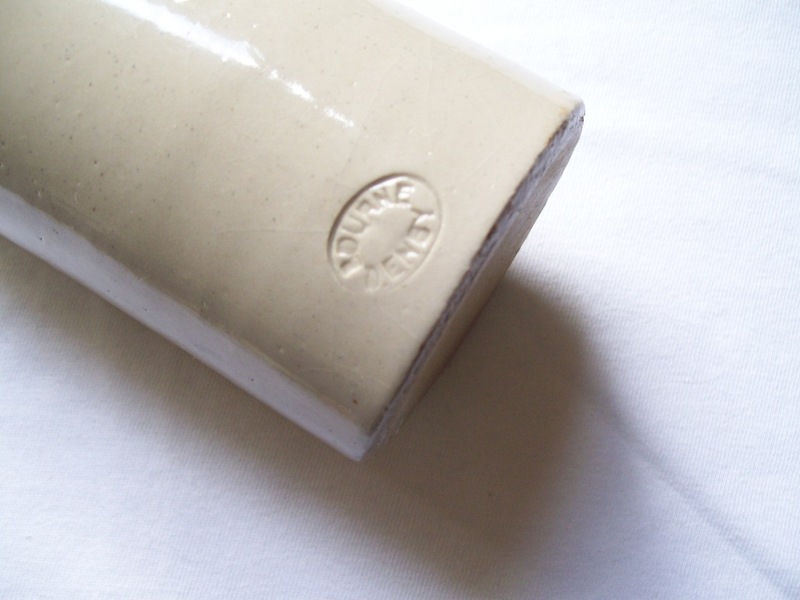 The bottle is also stamped with the Bourne Denby mark. The bottle would typically have firing cracks in the glaze. R.White’s became particularly popular in the 1970s and early 1980s due to notable advertising executive, Rod Howard Allen’s famous slogan “I’m a secret lemonade drinker” as used in R.White’s classic ‘The Secret Lemonade Drinker’ adverts used throughout the decades.